This shingle roof had a leak doing damage to the decking. 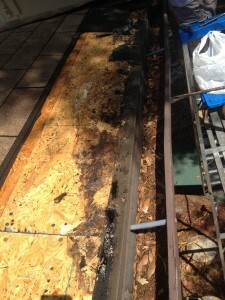 Bad wood was removed with new lumber and decking being installed. 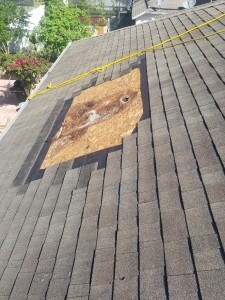 New underlayment and shingles were put on to put a end to this leak. Call 386 748 8858 to get yours fixed. 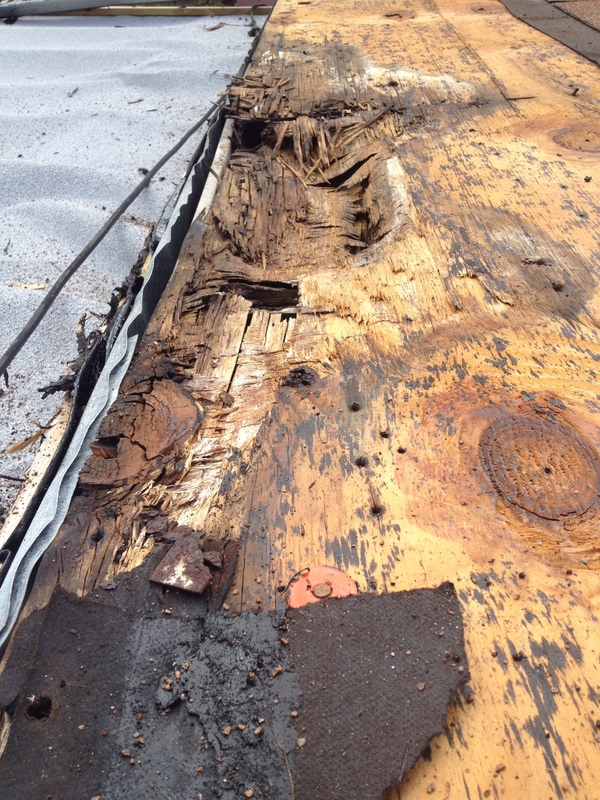 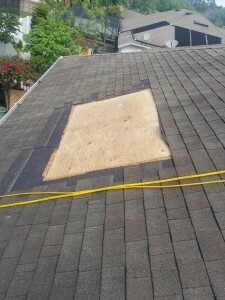 Shingle roof had a leak and did damage to the plywood decking. Bad decking was replaced and new lumber installed with new underlayment and shingles, All fixed up now with no more leak. 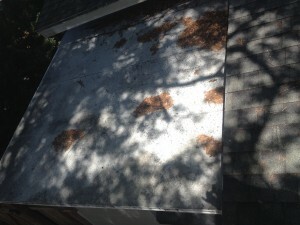 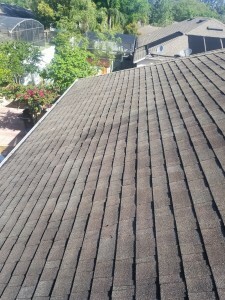 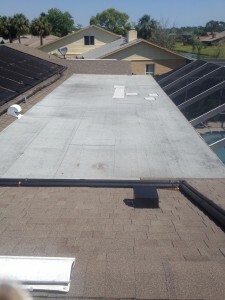 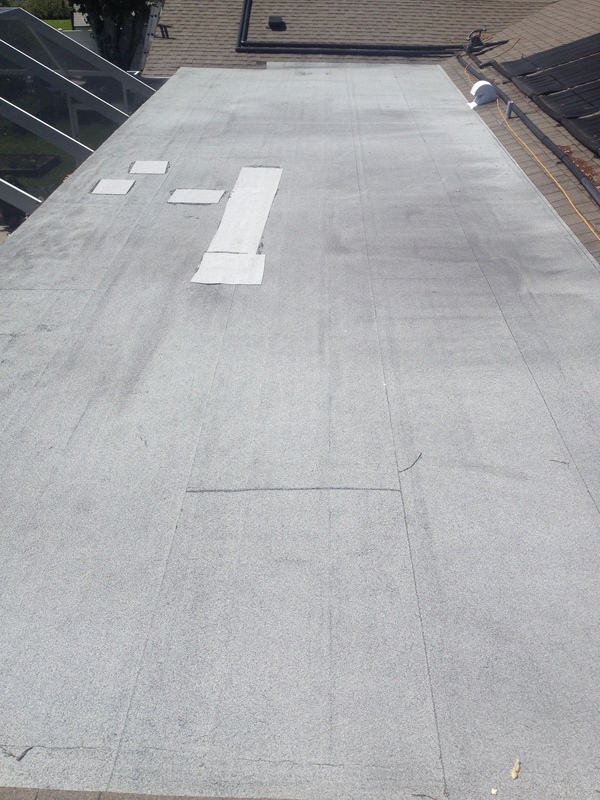 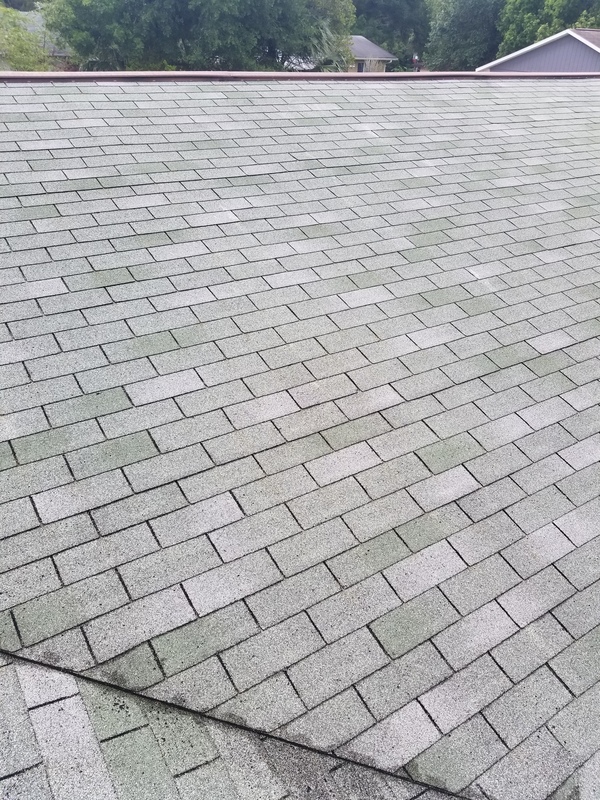 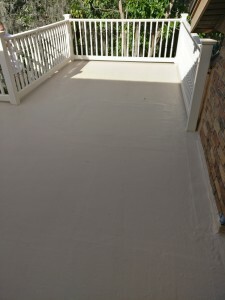 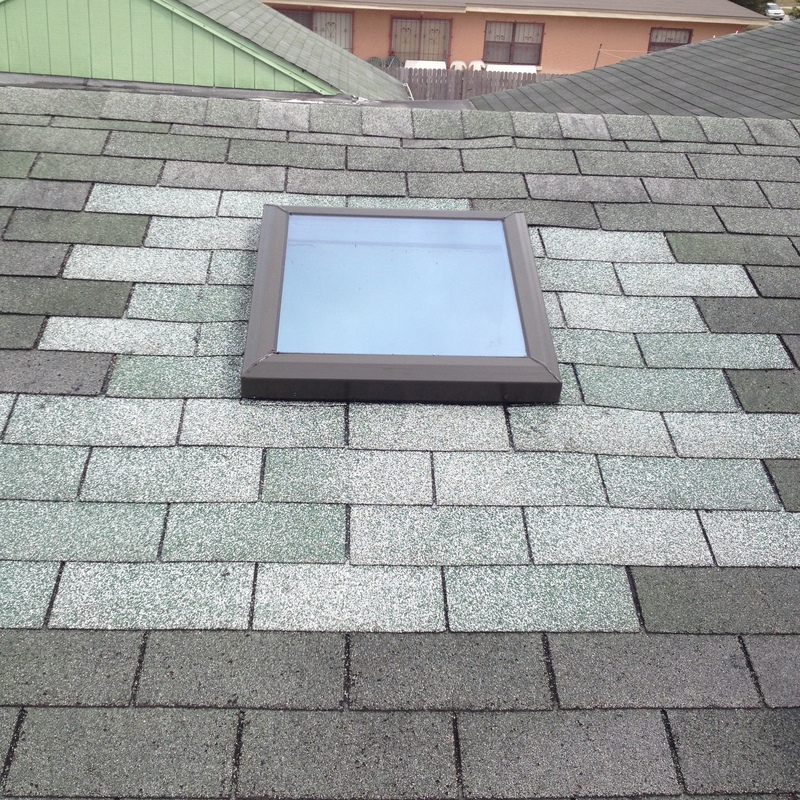 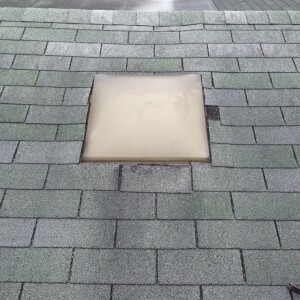 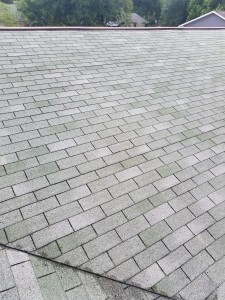 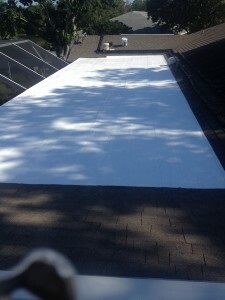 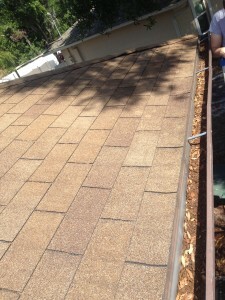 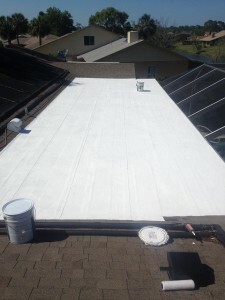 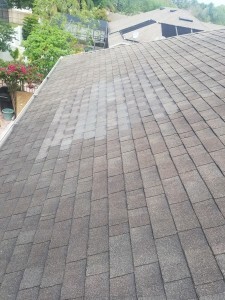 These are before and after photos of a low slope roof that was covered with a Gaco products. 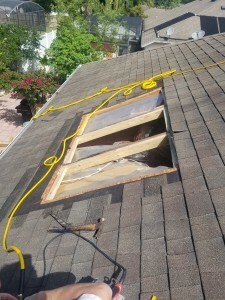 This entry was posted in REPAIRS on May 12, 2017 by Benton Cox. 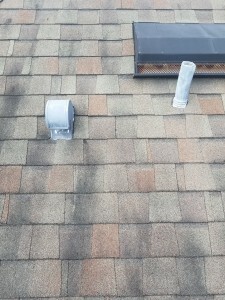 This cap was leaking (only when it rained). 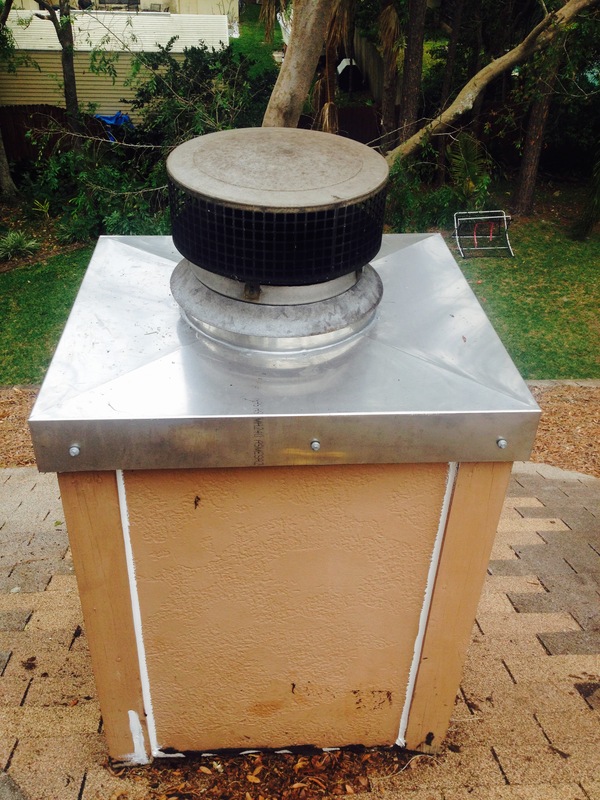 So a new stainless steel cap was made and installed. 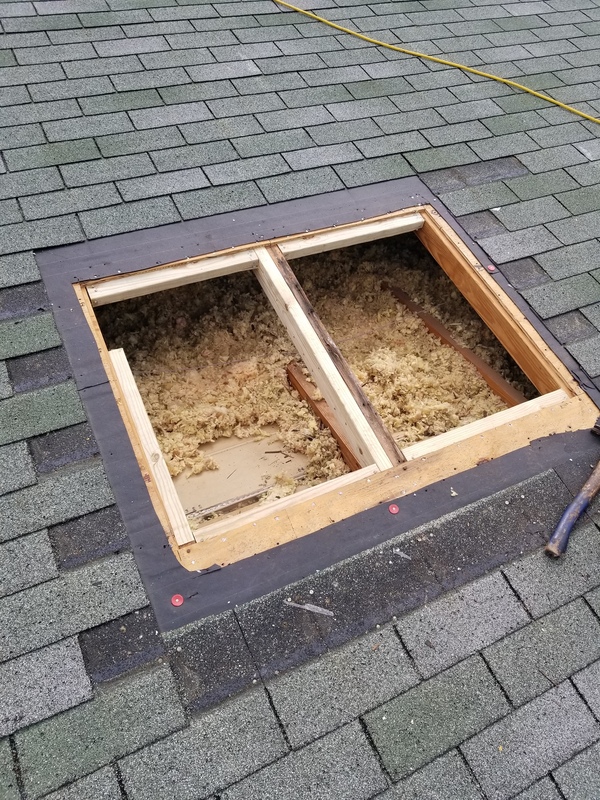 This entry was posted in REPAIRS on April 28, 2017 by Benton Cox. 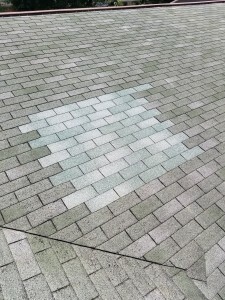 This was attempted to be fixed by a non professional roofer. 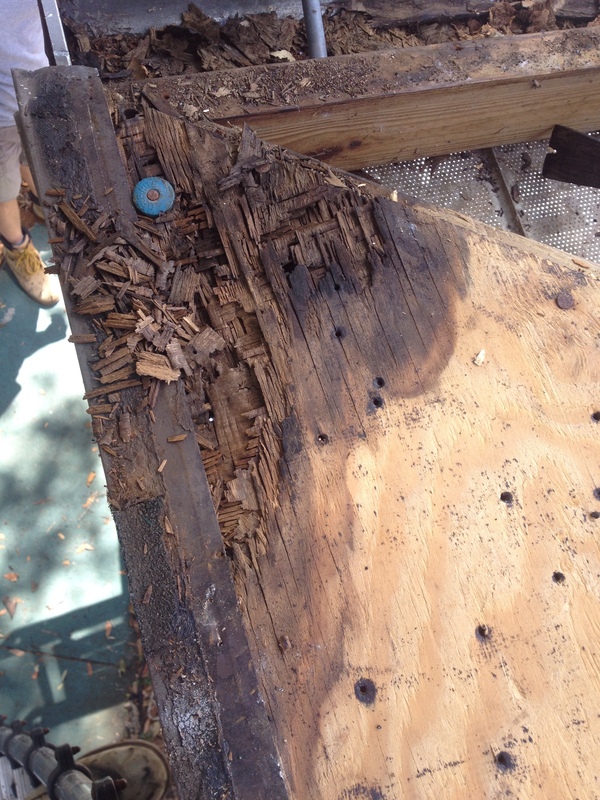 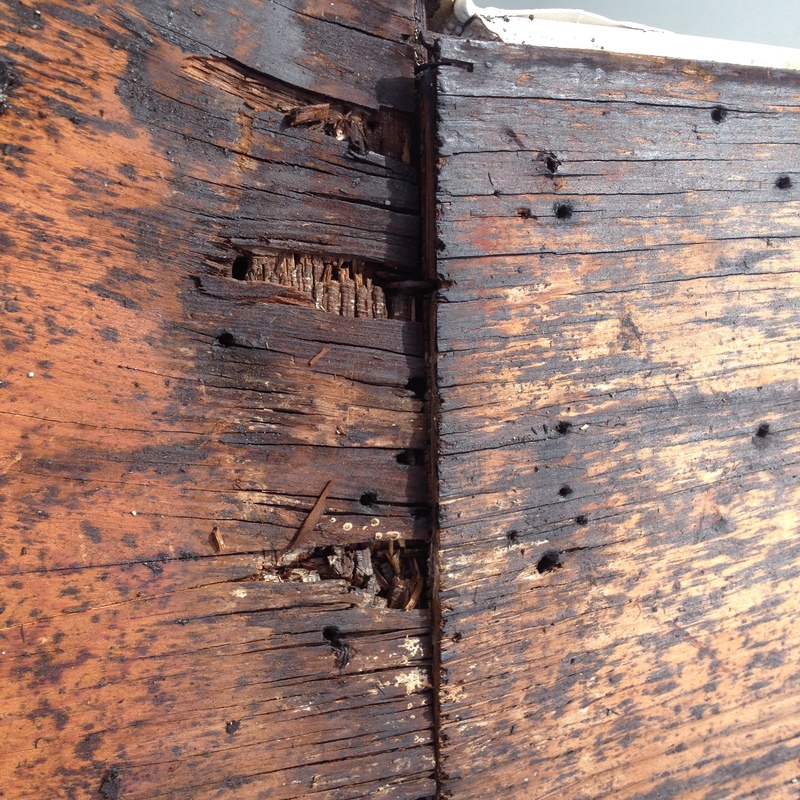 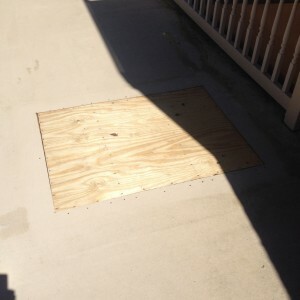 This deck had a small pinhole in it.Over time it damaged the wood decking. 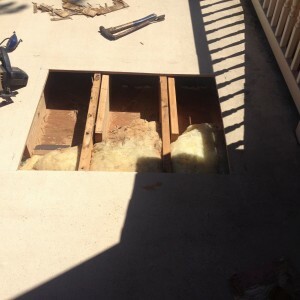 So a area of deck was removed and new wood put back in place. 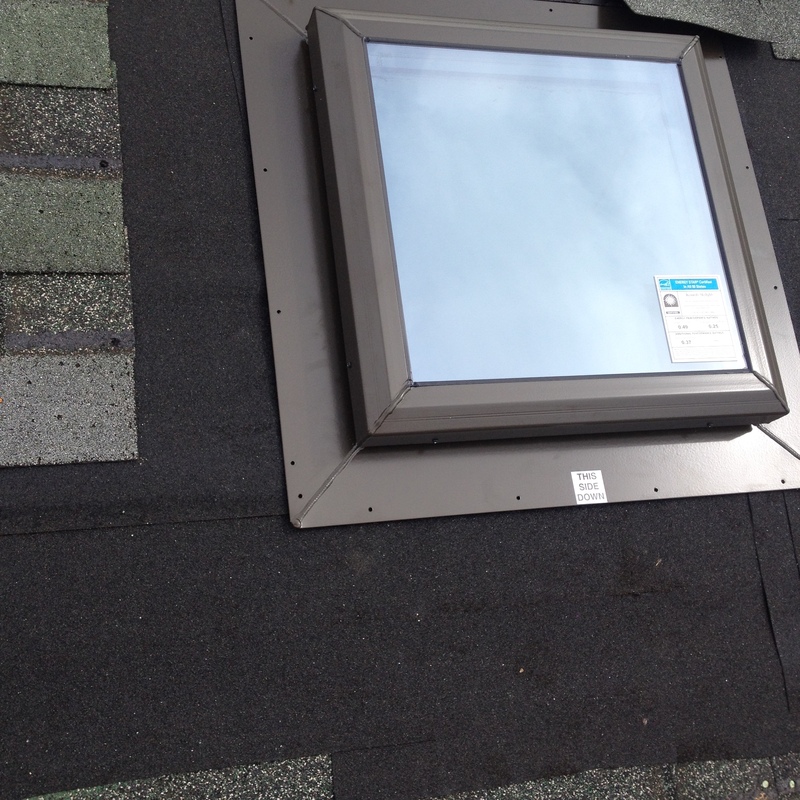 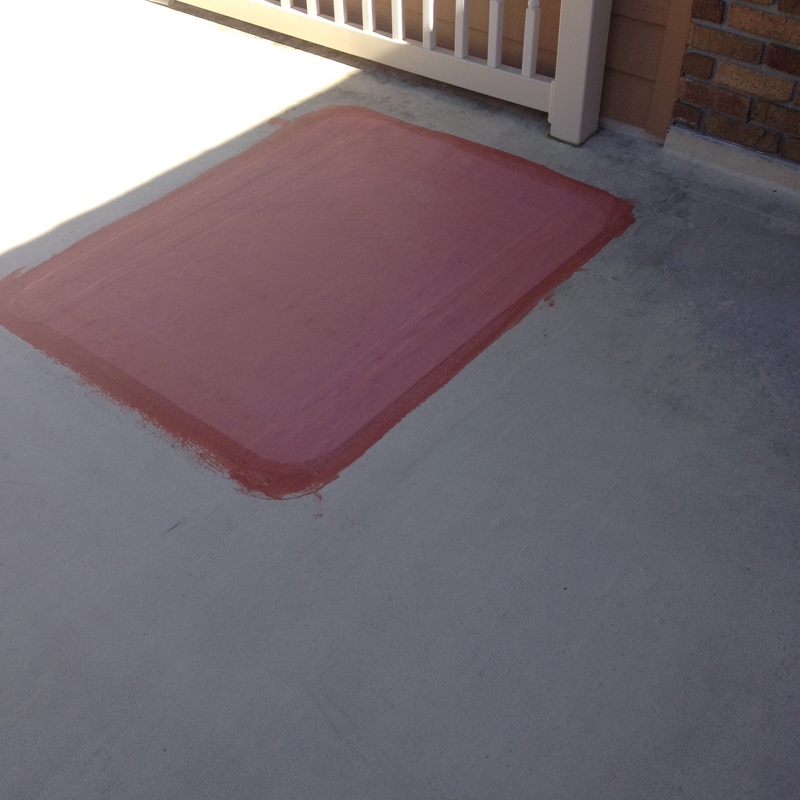 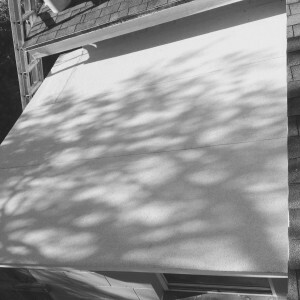 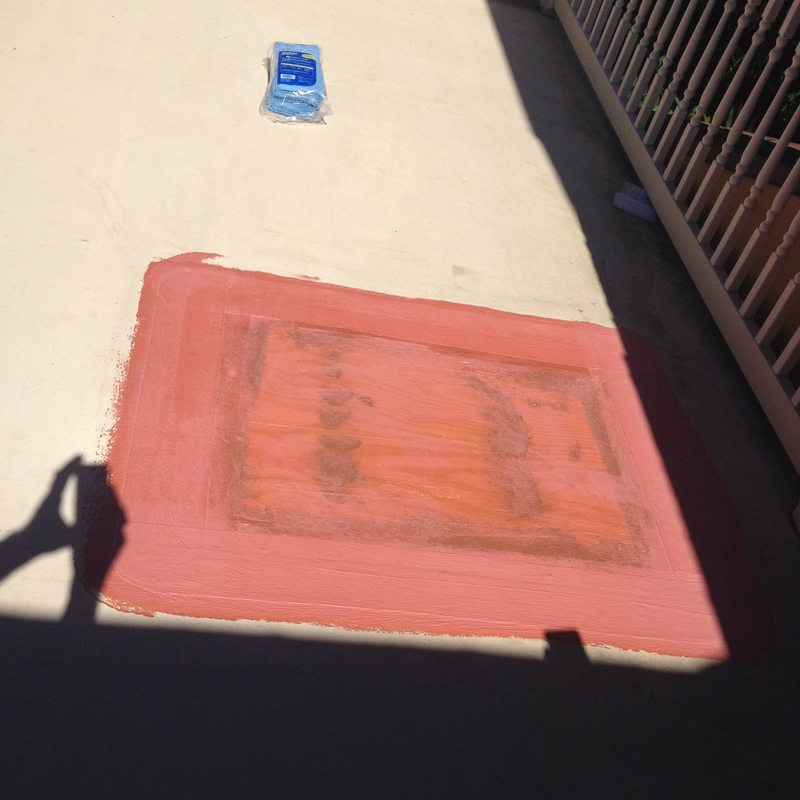 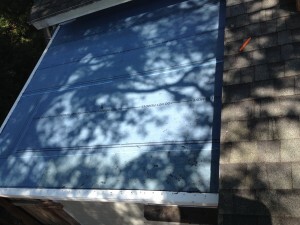 Then Sealoflex system was installed – No more water entry. 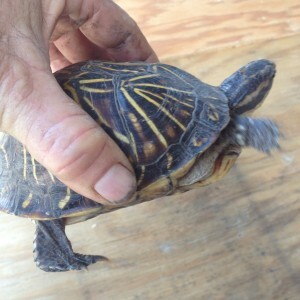 In the process a visitor( The Turtle) came to inspect this project but was told he couldn’t be of any assistance here (as he didn’t have a hardhat or safety glasses), So was promptly escorted away from the job site. 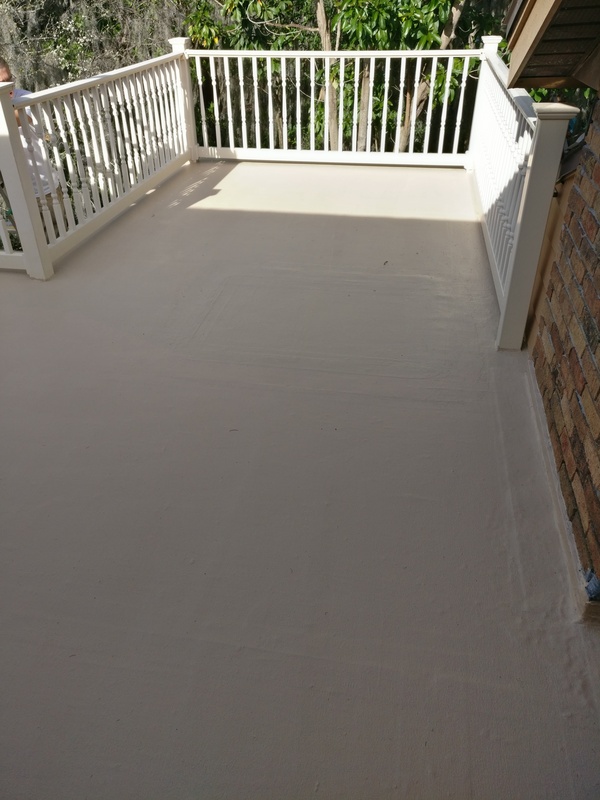 Sealofex decks need to be maintained and it is recommended that a coat be applied once every five years. 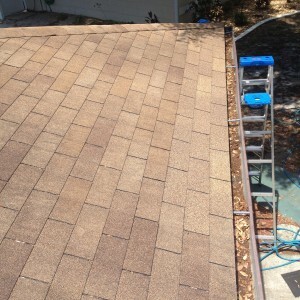 We offer this service. 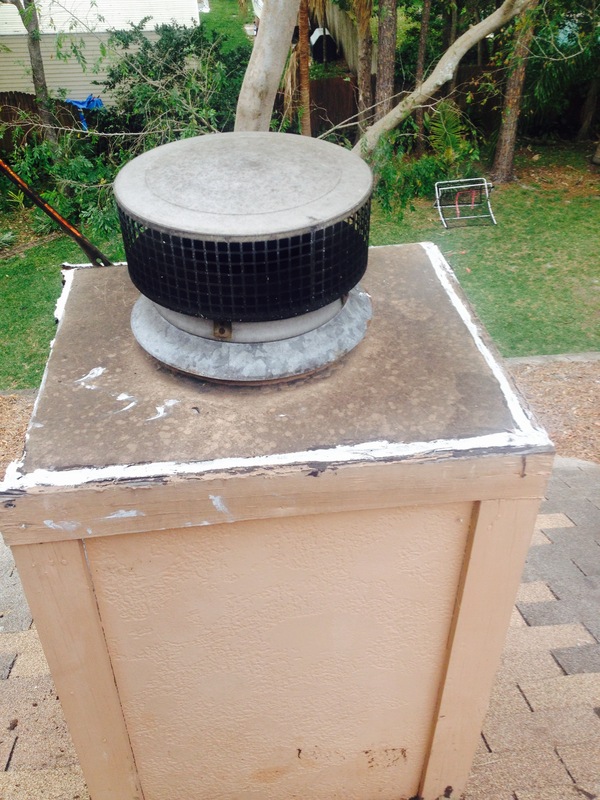 This entry was posted in AREAS OF SERVICE, REPAIRS on April 28, 2017 by Benton Cox. 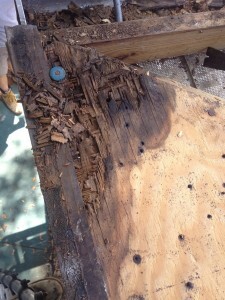 This edge was leaking and had damaged the wood. 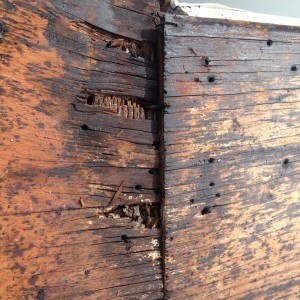 The bad wood is exposed for repair. 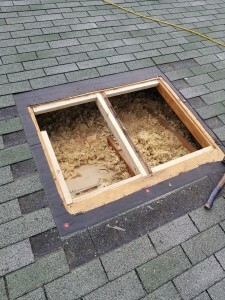 New wood is installed All back together now and leak free. 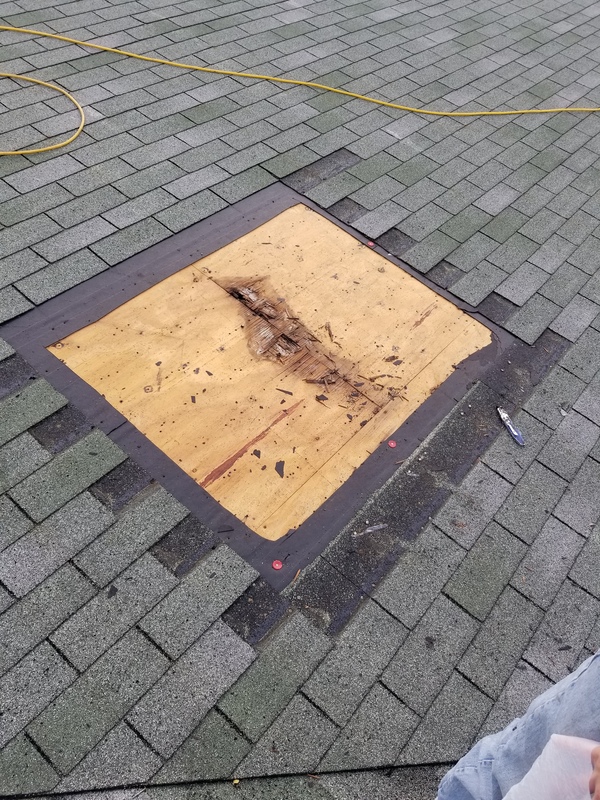 This roof was leaking in at the bottom edge. 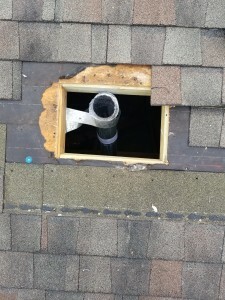 It was never installed properly. 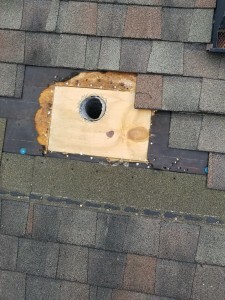 So it was taken apart and the bad wood removed installing new. 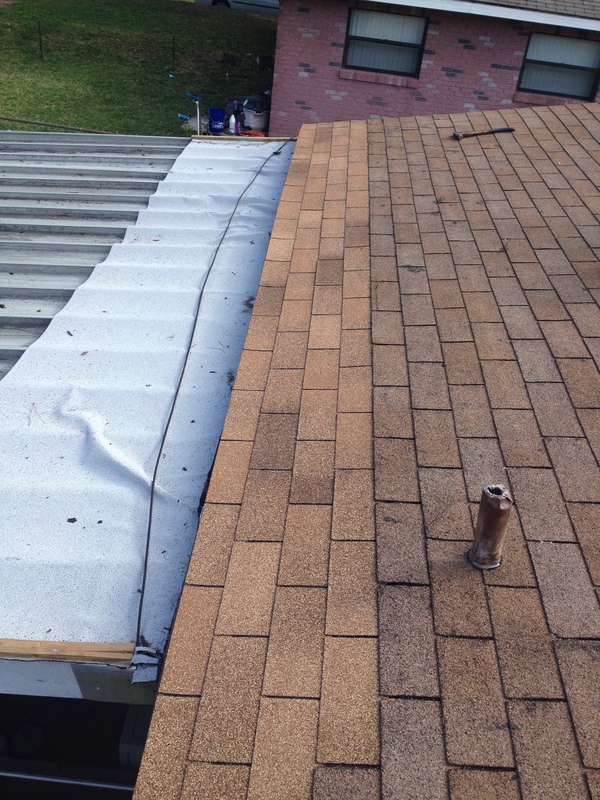 It also got new underlayment , drip metal and shingles. This time all properly installed. 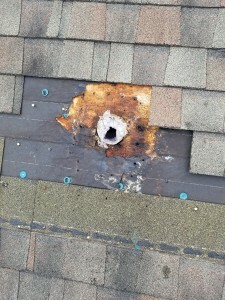 This entry was posted in REPAIRS on April 27, 2017 by Benton Cox. 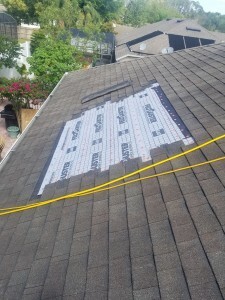 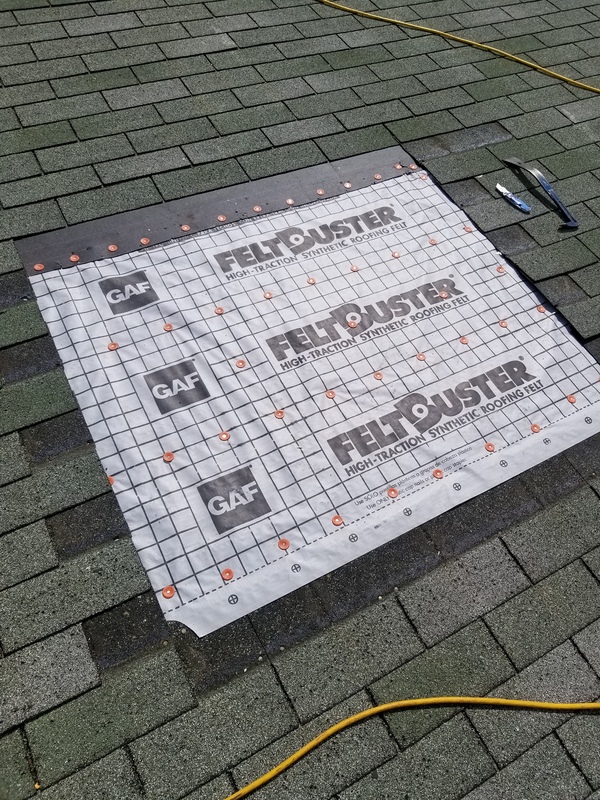 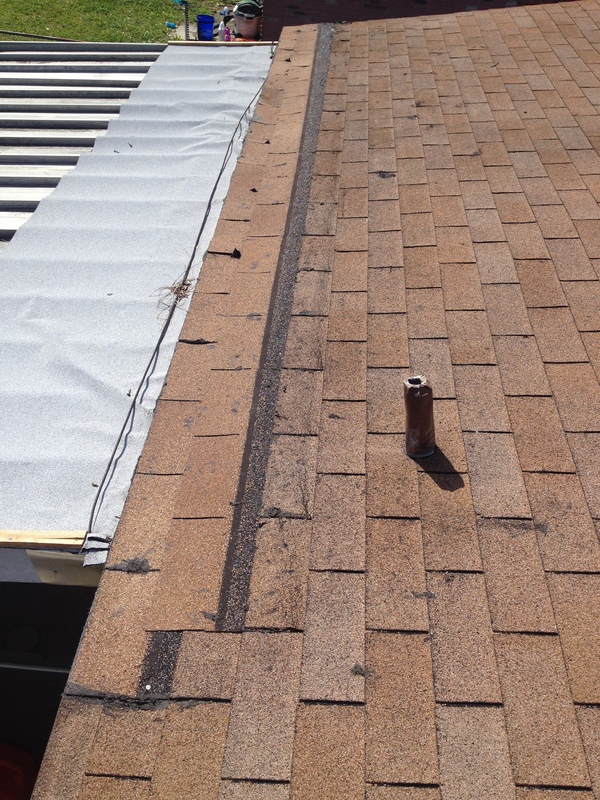 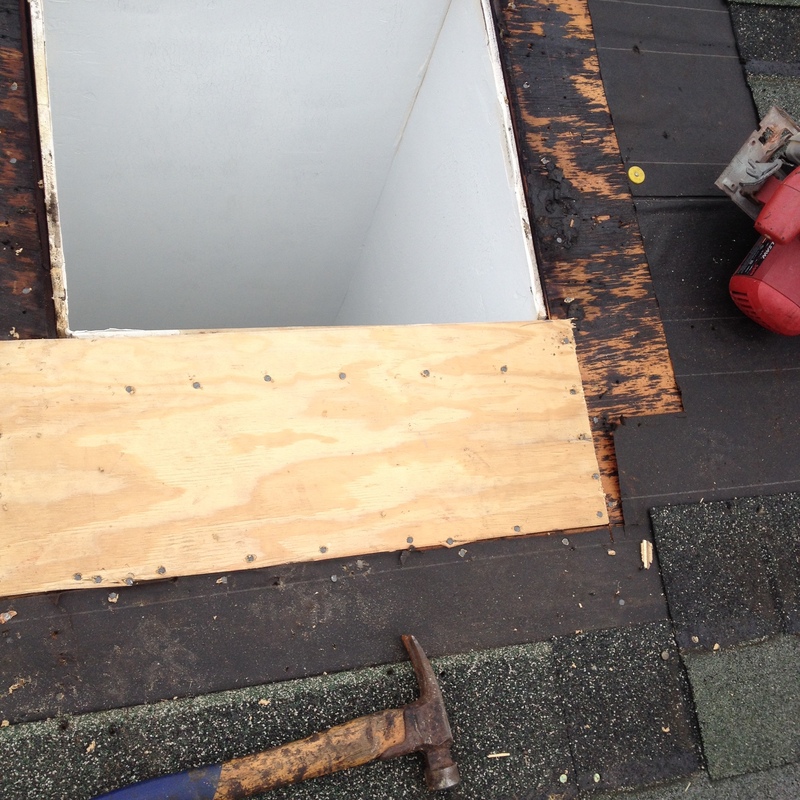 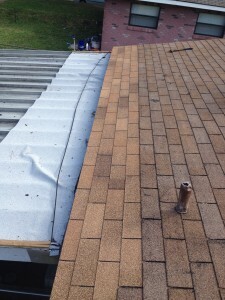 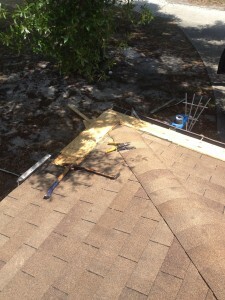 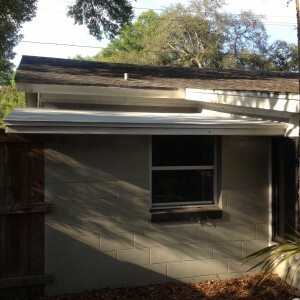 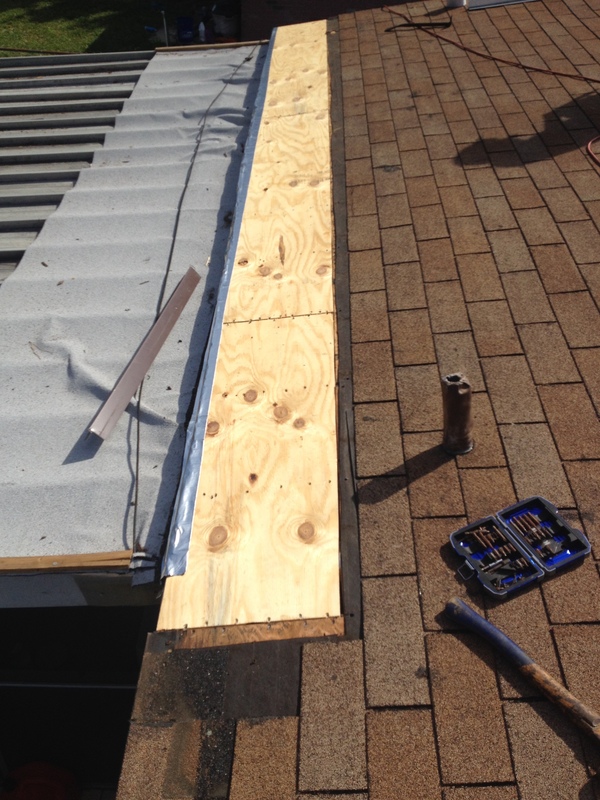 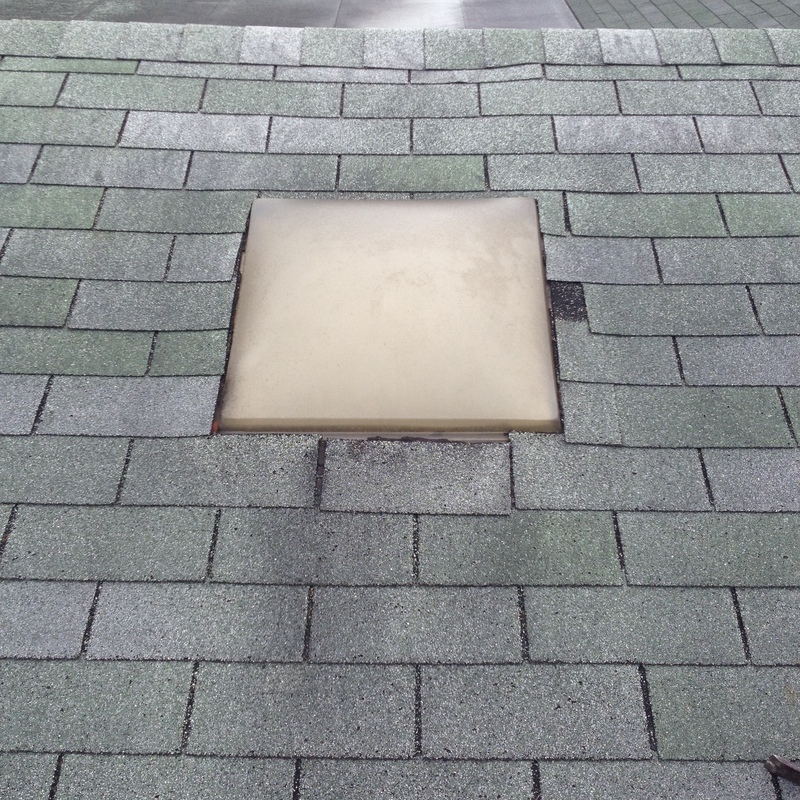 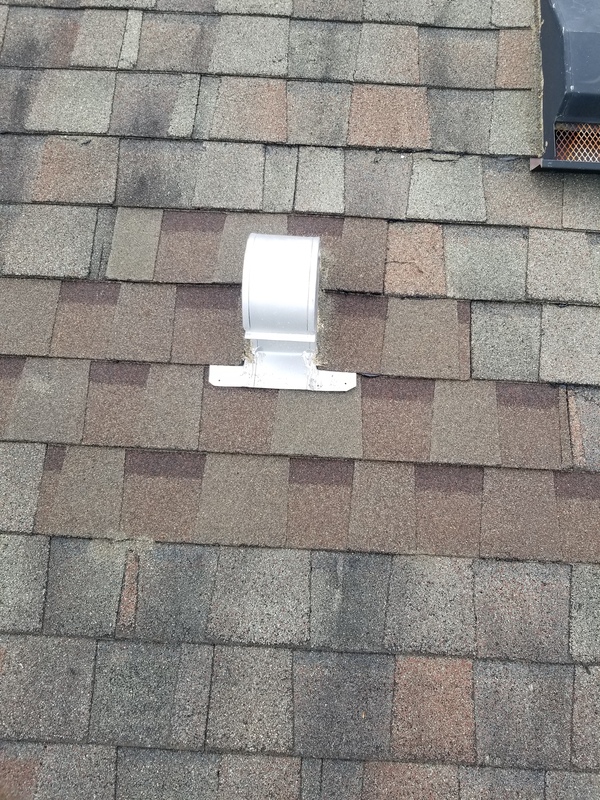 Above left is the old leaky roll roofing – To the right is the new underlayment after the old was removed. 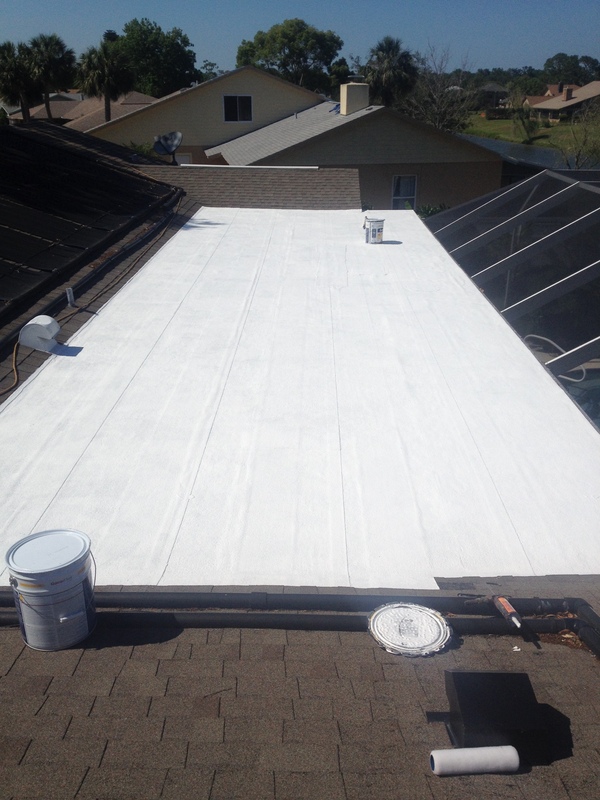 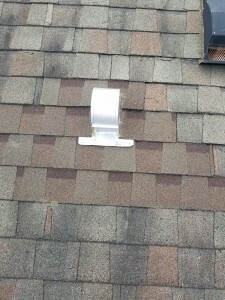 This is the finished roof with a new white modified cap sheet installed on it. 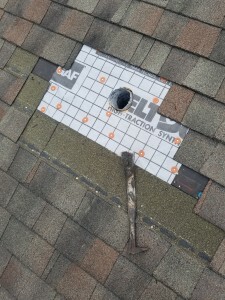 This entry was posted in REPAIRS on March 22, 2017 by Benton Cox. Finished Skylight Installation. 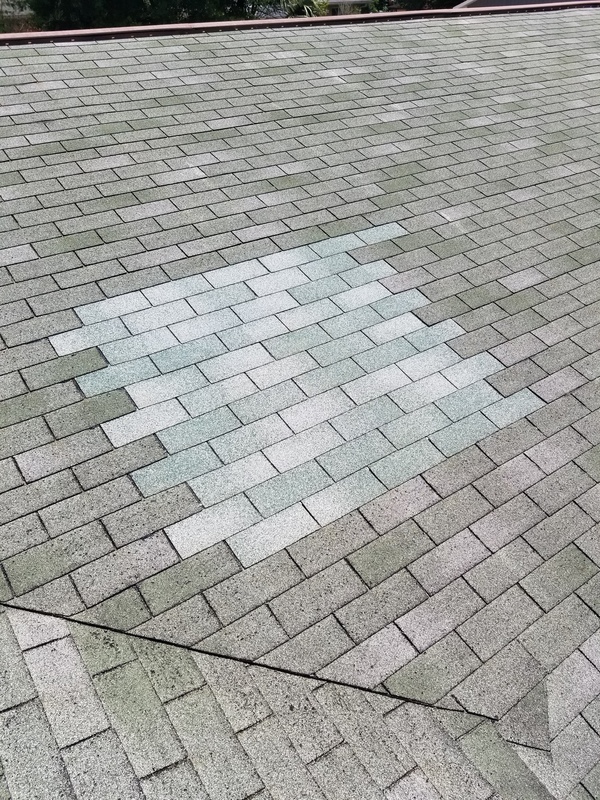 This Roof Needs a Cleaning. 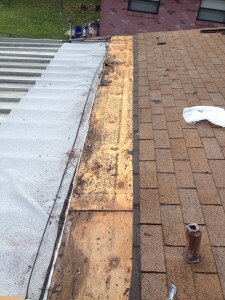 Notice Difference Between Old and New Shingles. 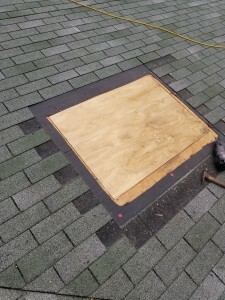 This entry was posted in REPAIRS on February 22, 2017 by Benton Cox.